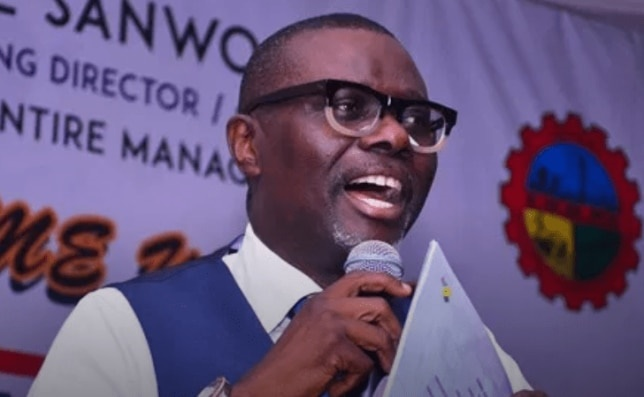 Babajide Sanwo-Olu has promised to open Gov. Akinwunmi Ambode's can of worms. Gov Akinwunmi Ambode's main opponent in Monday's governorship primaries of the All Progressives Congress, Babajide Sanwo-Olu has vowed to expose all the atrocities committed by the governor. Sanwo-Olu was responding to accusations by Ambode that he is unfit to occupy the office of the Governor of Lagos State. Ambode had, during a World Press Conference on Sunday, September 30th, said Sanwo-Olu was once arrested in the United States for spending fake dollars in a night club. In addition, he said, Sanwo-Olu, who is being backed by APC national leader, Bola Tinubu and some special interests in the state, has psychiatric issues and is not well. ''Sanwo-Olu is not a fit and proper candidate for the position of Lagos governor,'' Ambode said. 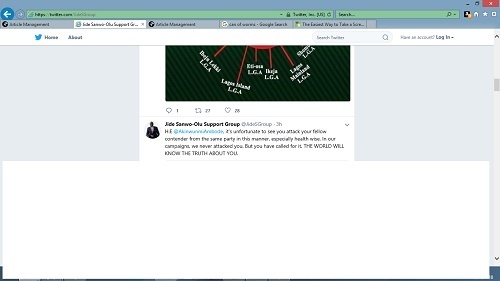 Responding through his campaign group, Sanwo- Olu said the governor has stirred the hornets' nest with his accusations. He said throughout his campaign, he has never for once attacked the personality of the governor.. He, however, said with the governor's outburst against his personality, he is prepared to open Ambode's can of worms for the whole world to see.